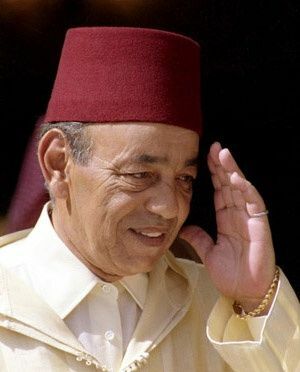 Hassan II, king of MOROCCO from 1961 until his death, was credited with preserving the Moroccan monarchy. During his reign he introduced a number of democratic reforms and tried to build closer ties with the United States and other Western countries. Educated in both Arabic and French, Hassan studied law at the University of Bordeaux in France. He was appointed head of Morocco’s Royal Armed Forces in 1955 and prime minister in 1960. The following year, on the death of his father, MUHAMMAD V, he became king. Hassan tried to overcome opposition to his authority by issuing a new constitution and extending voting rights to all Moroccans in 1962. Following another wave of opposition, he dismissed the parliament in 1965 and maintained military rule for five years. At the end of that period, he restored limited democratic government under a new constitution. In the early 1970s, the king introduced economic policies to encourage agricultural improvements, such as new irrigation systems, and small- and medium-sized industries.